“The Scottish Young Magician Of The Year” is back! Brandon Barrett will impress you with his magic while making you laugh. Brandon brings you his show Brain Access, a show that will make you think in new ways. Throughout the show Brandon will access your mind using Subliminal forces, physiology and word play techniques. 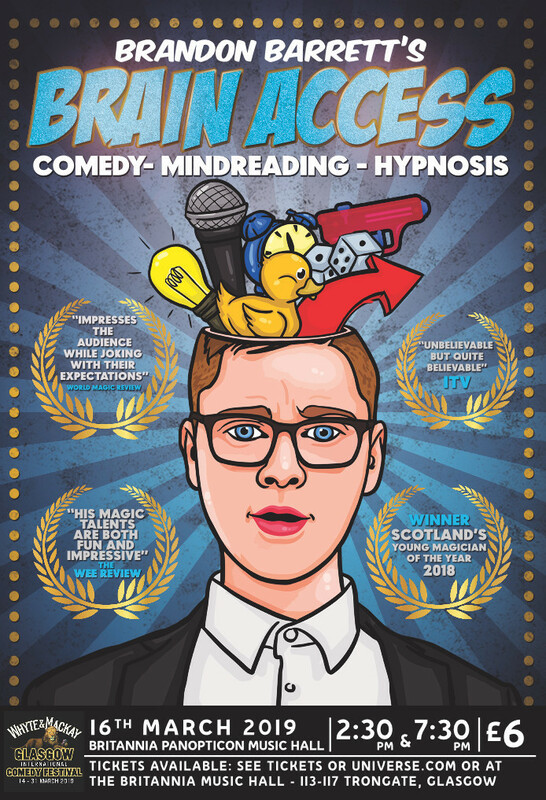 Mixing comedy, mind reading, hypnosis demonstrations. Brandon brings you his show Brain Access.